A look at which NBA players have signed new contracts during this year’s free agency period. 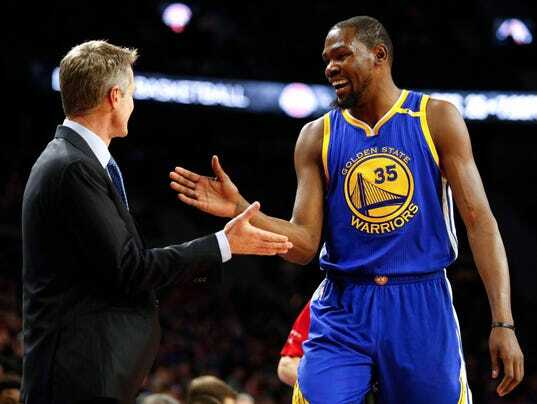 Golden State Warriors coach Steve Kerr compared NBA Finals MVP Kevin Durant’s selflessness — taking less than a max contract to help keep the super team’s championship core together — to that of another title winner who put the team above his own paycheck. Duncan, a five-time NBA champion who retired after the 2015-16 season, is a future Hall of Famer and considered by many to be the best power forward of all-time. He took several reduced salaries throughout his 19-year NBA career, although still capitalizing financially as the face of the Spurs franchise.